This Nineteenth Century Harris & Company weathervane depicts the Wampanoag sachem Massasoit (circa 1581–1661), who collaborated with the Plymouth Colony elders. 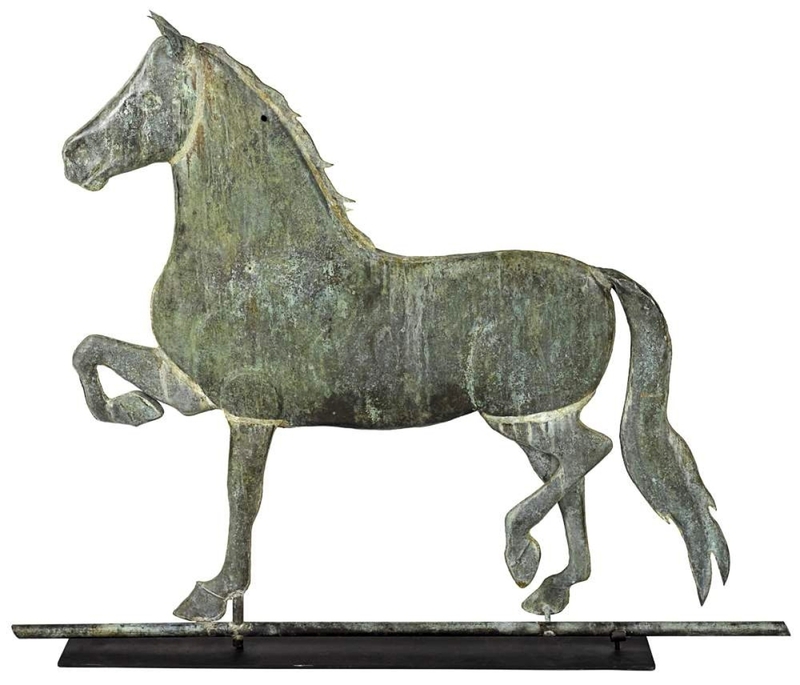 Measuring 35 inches tall, the molded copper figure with traces of gilt and verdigris on its weathered surface was the sale’s top lot, crossing the block at $20,740 ($18/$25,000). DOWNINGTOWN, PENN. 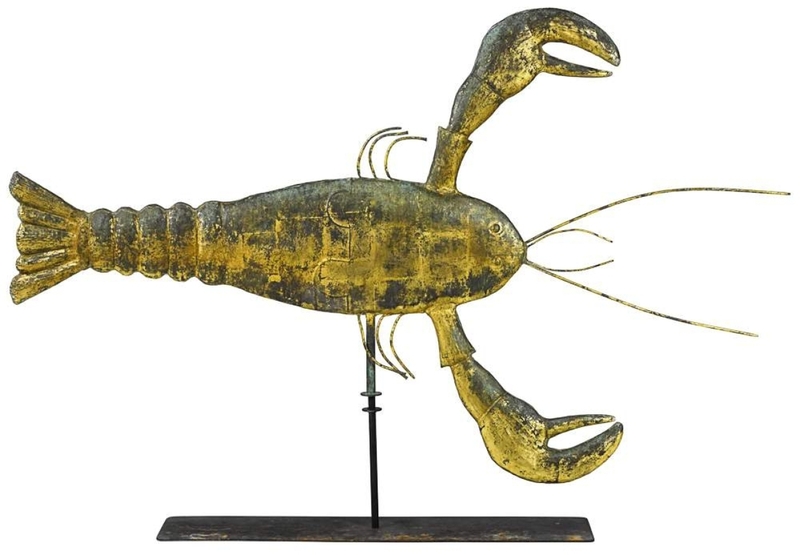 – In the introduction to Pook & Pook’s catalog of their private collection, auctioned on January 12 and 13, Roland and Marilyn Kemble described the satisfaction and gratitude they felt at having been part of the antiques business during its most robust epoch, roughly 1960 to 2000. “We feel so very honored at having been present and allowed to participate in the glory that is no doubt fondly remembered by so many of you from our shared past,” wrote the couple, retired dealers from Norwich, Ohio, who now spend most of their time in Marco Island, Fla.
A photograph of the Kembles’ booth at New York’s Fall Antiques Show in 1996 reveals a handsome mix of American furniture, folk art and related accessories. The moderately priced pieces were typical of what was then the healthy middle market. The Kemble collection was a time capsule of sorts. Dispersed, it confirmed trends that have long been evident. Compared to two or three decades ago, furniture was soft. Weathervanes, pottery and distinctive smalls in good condition held up well. Overall, Pook & Pook and the Kembles should be pleased with results. According to company vice president Deirdre Pook Magarelli, the 431-lot auction was 93 percent sold by lot and realized $685,843 with premium, falling in the middle of Pook’s $563,000 to $830,000 global estimate. Magarelli also shed much-welcome light on Bidsquare, the selling platform founded by Pook with a consortium of leading regional auction houses. For the two sessions combined, Bidsquare delivered 3,370 bids and 117 winning bidders who collectively spent $163,000. 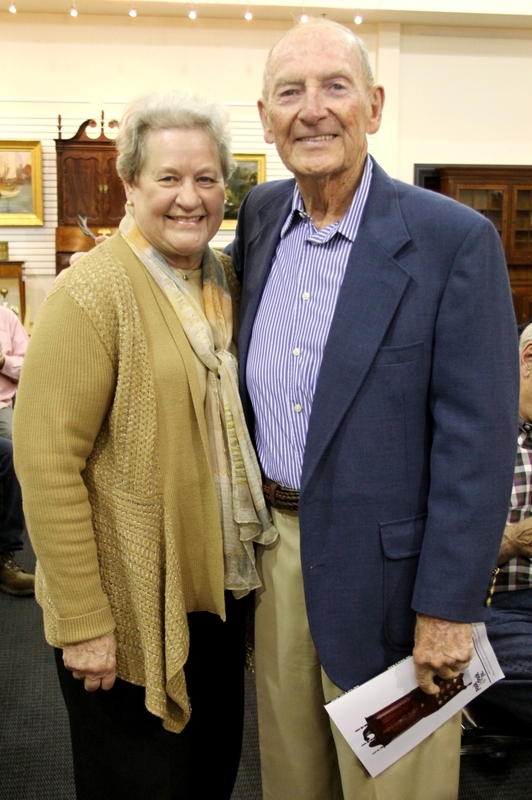 The Kembles began collecting Americana in the early 1960s as newlyweds, before they moved from Kentucky to Ohio. “The years that followed were a whirlwind combination of school teaching, shop keeping and the raising of three children,” they write in Pook’s handsome catalog. 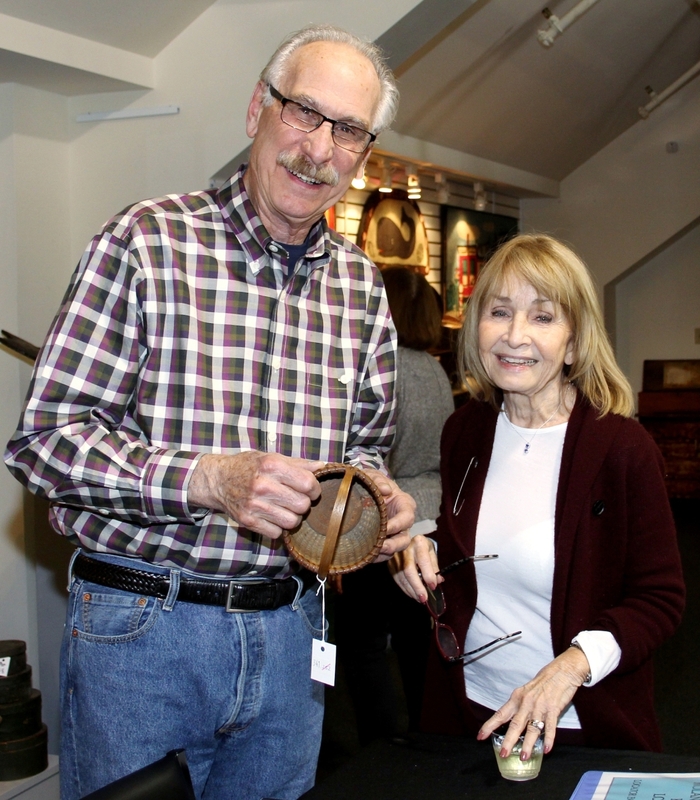 As their love of American antiques took them ever further from home, the Kembles became regular presences at shows and auctions in Pennsylvania, New York and New England. 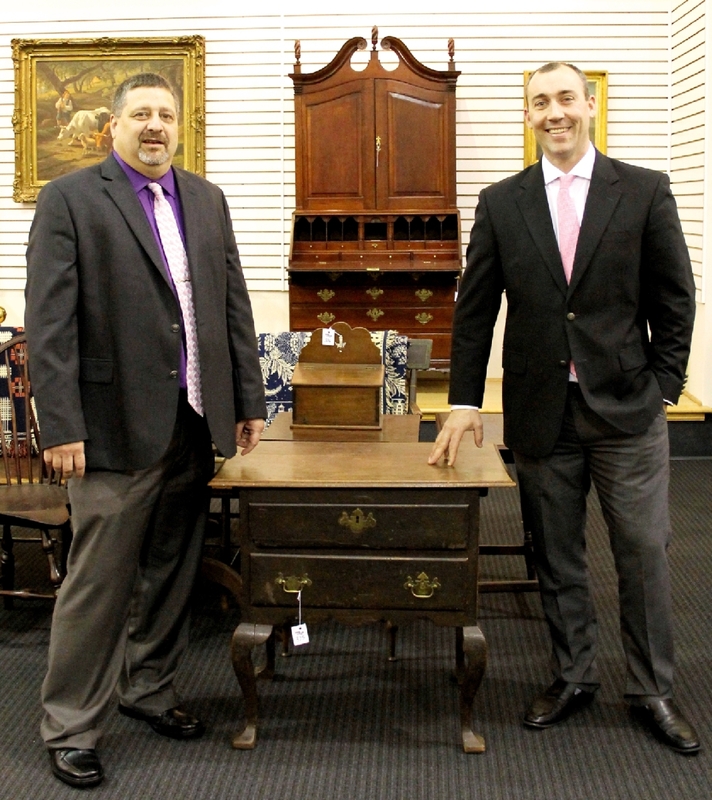 Pook staffers Jamie Shearer, left, and James Pook with one of James’s favorite pieces, a Chester County, Penn., dressing table of about 1750. 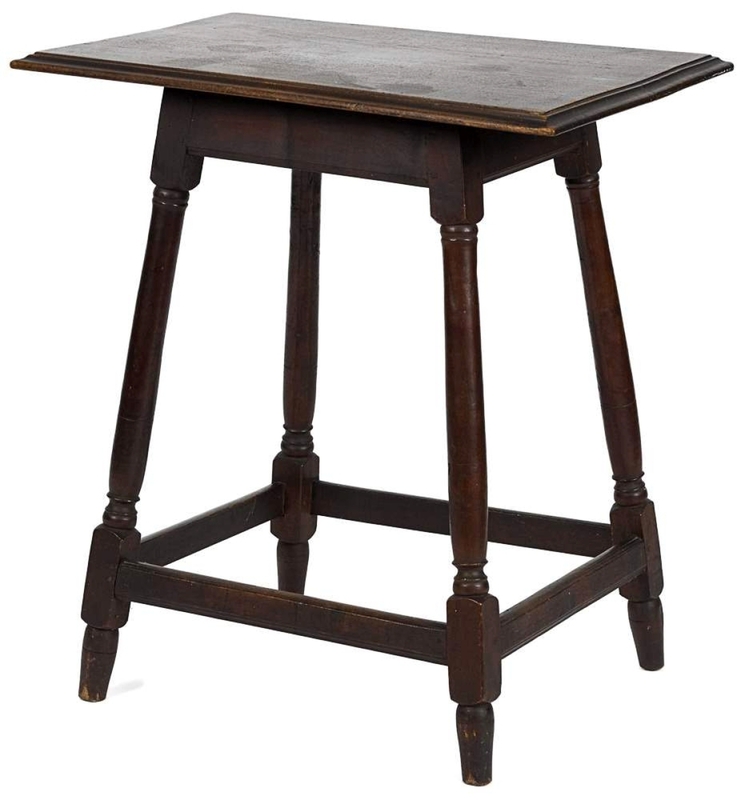 The country piece with a molded, overhanging top, scalloped skirt and cabriole legs ending in squared pad feet was found at a Wooster, Ohio, auction by pickers Harry Dudka and Frity Newmiller. It brought $11,590 ($10/$14,000). 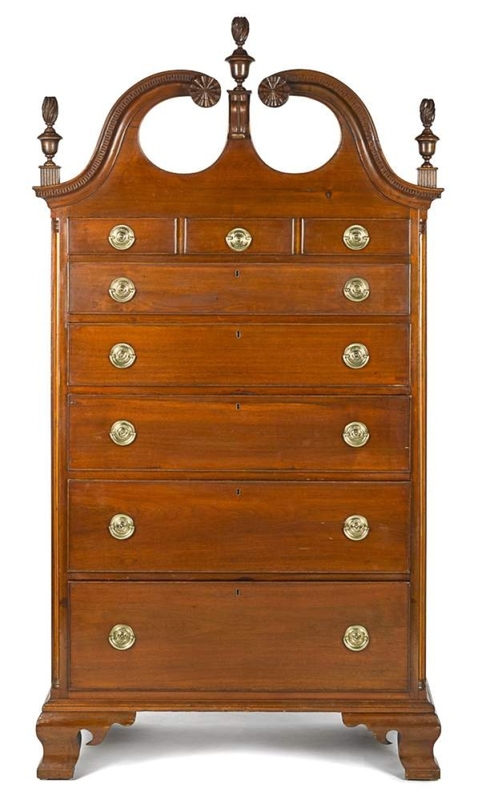 Rear, a pastoral oil on canvas after Rosa Bonheur, $610, and a Connecticut River Valley cherry secretary bookcase, circa 1765, $9,150 ($14/18,000). “The collection had been off the market for decades. Most of it was in their house and had not been to shows,” noted James Pook, vice president, appraiser and auctioneer, happy with the auction’s results. Pook’s keepsake catalog documents with in situ photography the beautiful house the Kembles restored and furnished in Norwich. After buying the 1837 farmhouse in 1971, they stenciled floors and paneled walls, securing paneling from the late Downingtown antiques dealer Phil Bradley, who procured architectural salvage from a house in Searsport, Maine. The talented artist David Wiggins painted murals in the manner of Erastus Salisbury Field. “Over the next many years, we poured our hearts into the thoughtful and authentic restoration of the home and acreage, as well as the development and dedication of a thirteen-room gallery on those same premises….all toward the bringing together of a storied past into the living present. For the coming forty-plus years together, nearly every waking minute was aligned toward the fulfillment of a house and showrooms, and in the establishment of a well-known presence at many of the best showings. One cannot plan such fortunate lives…,” the Kembles reflect. Pook hit it out of the park with this baseball-themed quilt, a favorite of company appraiser and auctioneer Jamie Shearer. 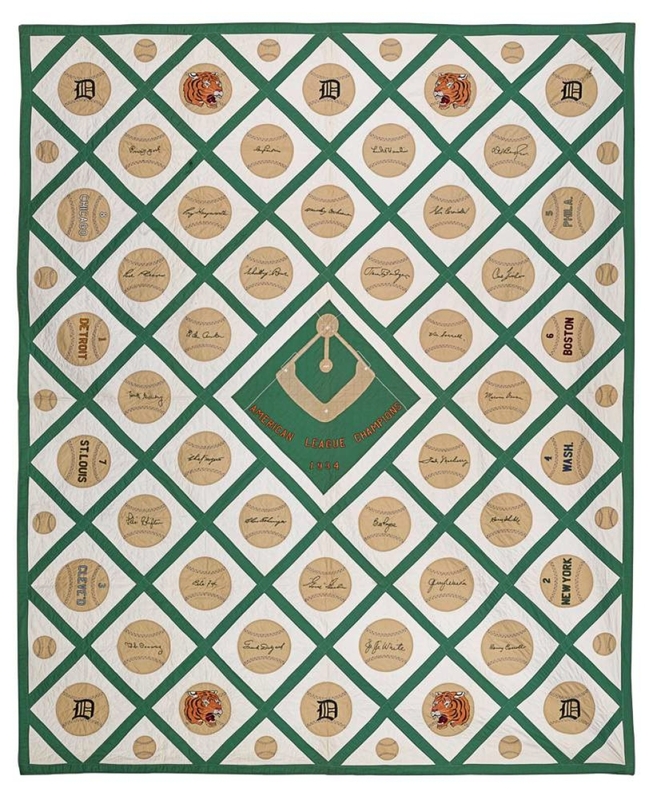 Dedicated to the 1934 American League Champion Detroit Tigers, the $19,520 ($10/12,000) autograph-style bed covering, which went to a museum, is embroidered with the signatures of the team’s 28 players, among them Hank Greenberg. “We were a little concerned because it is not a typical quilt, say, a Baltimore album quilt, and it’s not, strictly speaking, baseball memorabilia, but it’s an incredible thing and it did extremely well. It was helped by the fact that a great article about it was published in a Detroit newspaper. The gentleman who made it gathered the signatures and spent many hours making it,” said James Pook. Many collectors share the Kembles’ love of weathervanes. As a group, this distinctive sculptural form did well. 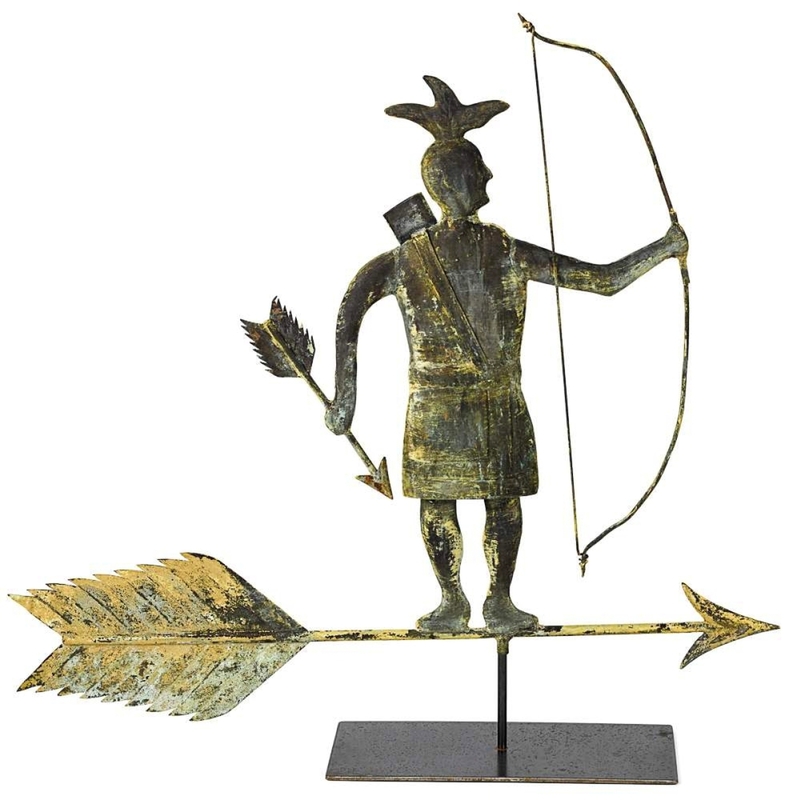 Leading both the category and the auction overall was a Nineteenth Century Harris & Company weathervane depicting the Wampanoag sachem Massasoit. It crossed the block at $20,740. 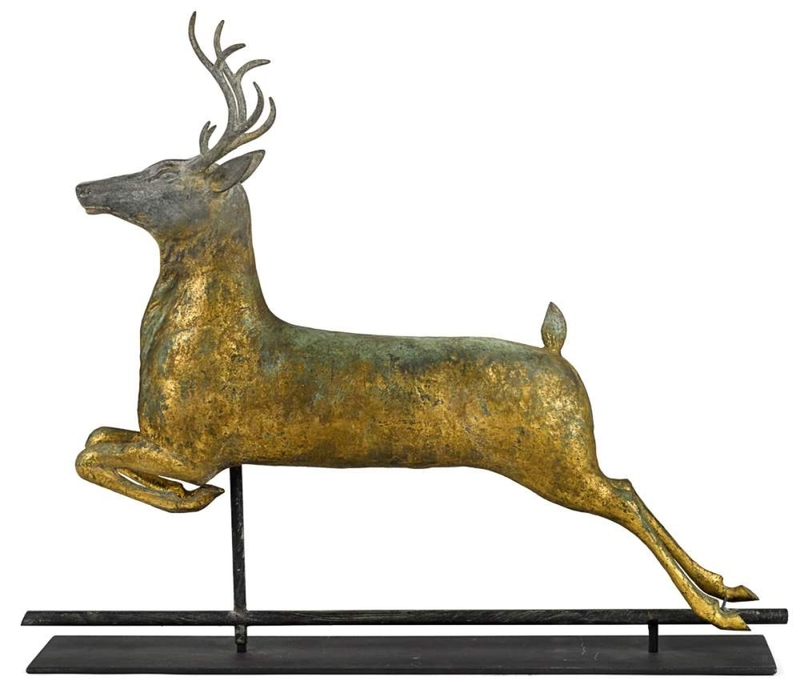 Three molded copper weathervanes reached $18,300 each: a Nineteenth Century lamb figure possibly by Fiske, an irresistible, mid-Twentieth Century lobster vane and a circa 1875 Cushing & Company stag. 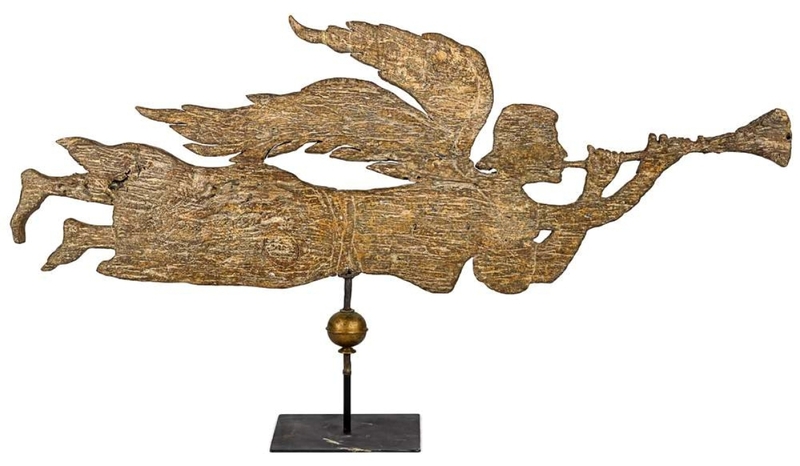 Wooden weathervanes included a large Angel Gabriel and a weathered whale in black surface, both sold for $14,640. 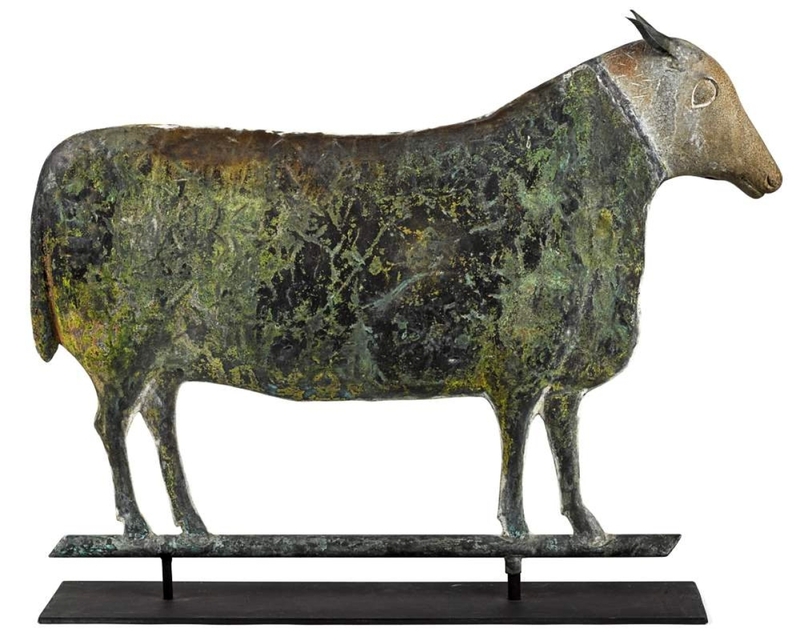 A molded copper goat made $13,420 and a large prancing horse fetched $10,980. The only major disappointment was a full-bodied copper polo player vane with a cast-zinc head. 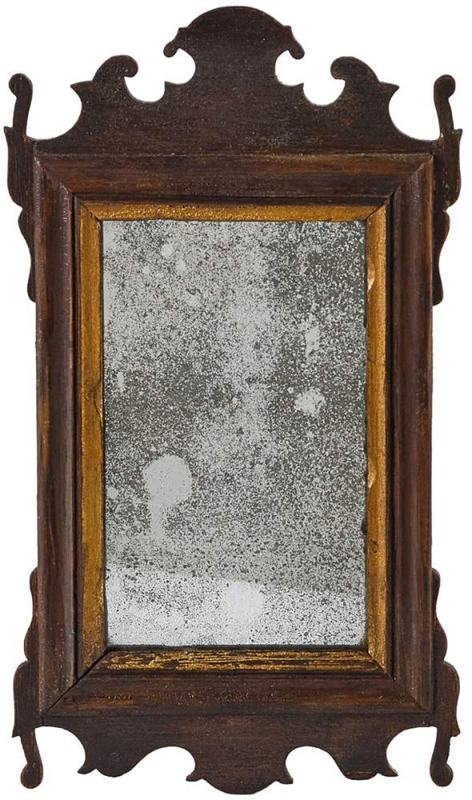 Cataloged as coming from the Westchester Polo Club in New York, it passed at $18/25,000. There were good buys in the furniture category. 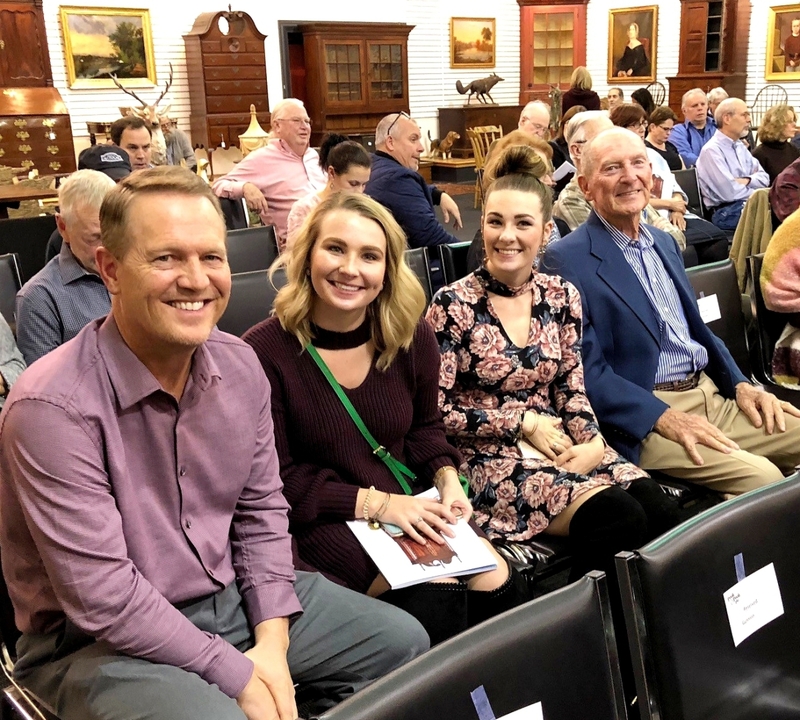 Dr Jeffrey Stiles, a radiologist from Spring City, Penn., attended the sale with his three adorable, well-behaved children, who on Friday evening appeared to be enjoying the sights and sounds of the auction, not least soft drinks on tap at the open bar. 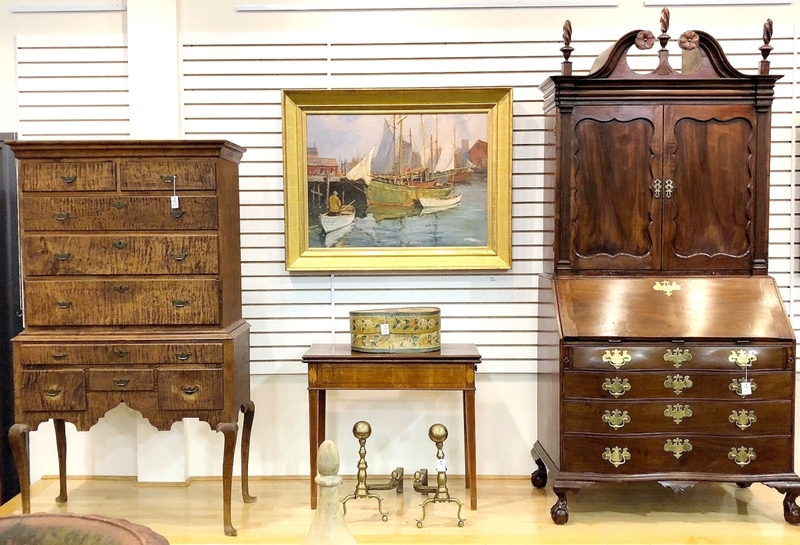 When one of the sale’s cover lots, a Boston Chippendale desk and bookcase in mahogany came up, Stiles motioned to young Quincy John Stiles, who shyly held his paddle in the air until he won the secretary for $12,200, or roughly half the piece’s low estimate. Dr. Stiles later said he was happy his family was able to buy the beautiful desk and bookcase with fluted pilasters and a bonnet top ornamented with rosettes and flame finials. 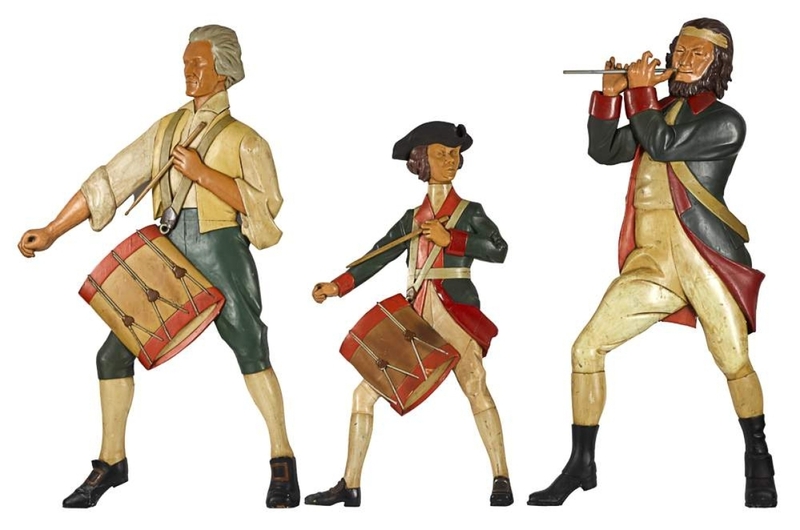 Quincy, along with brothers Mason and Benjamin, are already becoming knowledgeable about American antiques, said Dr. Stiles, who should be thanked for doing his part to encourage an interest in history in the next generation. 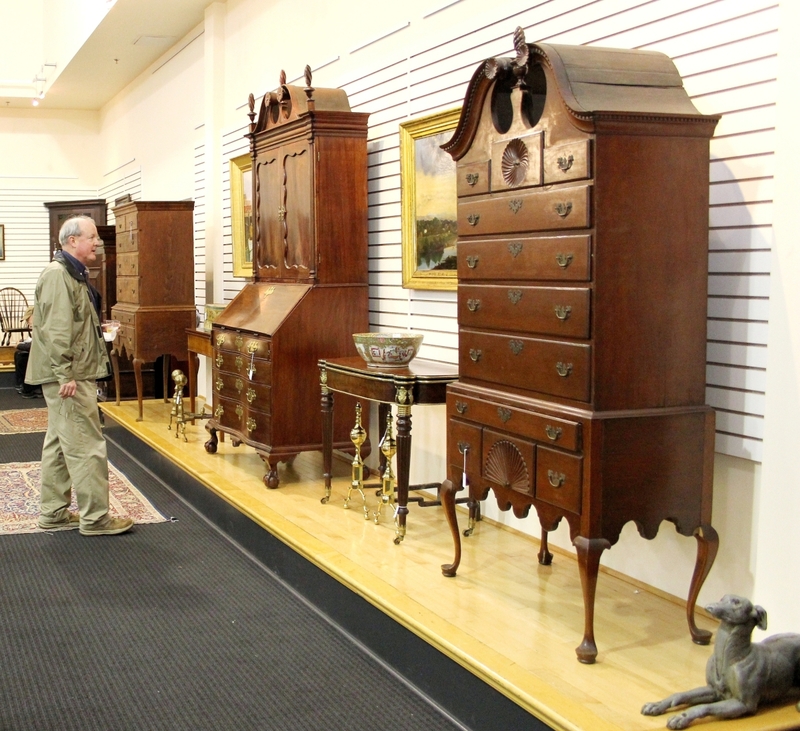 No sooner had the Kemble sale come down than Pook was setting up its January 27 Americana and International auction. 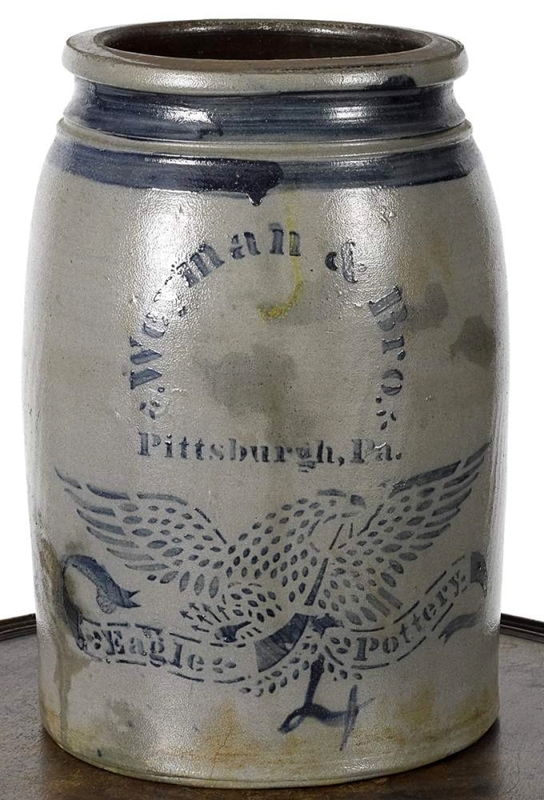 Pook will offer the holdings of Quarryville, Penn., Americana collector Ruth Bryson on April 14. Prices reported include buyer’s premium. Pook & Pook is at 463 East Lancaster Avenue. For information, www.pookandpook.com or 610-269-4040. 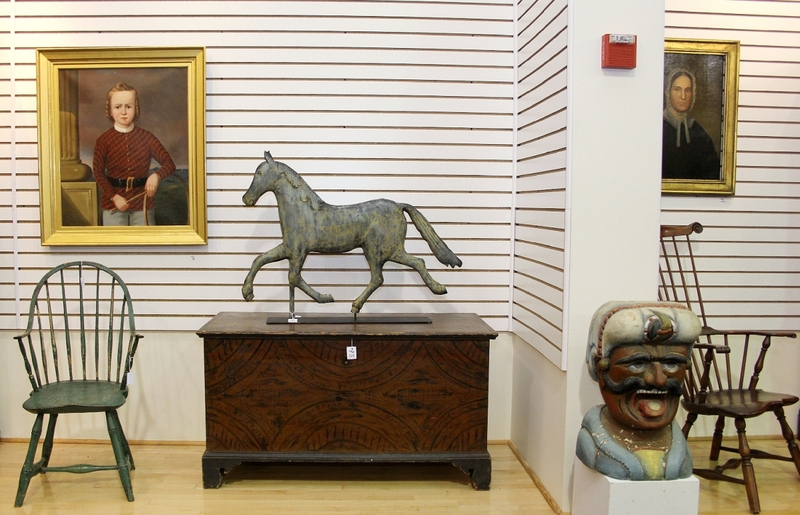 Wayne, Penn., dealer Julie Lindberg recalled meeting colleague Roland Kemble for the first time at an antiques show near her home in the early 1980s.